This week my posts will focus on featuring certain sections of Tampa or our current home that will be missed since we are moving on to the next stop in a week. One of my absolute favorite places in Tampa is Bayshore Boulevard. It is gorgeous. I've spent countless hours there running back and forth and back and forth over the past 7 years. The sidewalk is 4.5 miles long and is claimed to be the longest continuous sidewalk in the world. Pretty amazing, huh? Not only is that a great feature for all sports enthusiasts, but the view is outstanding. On one side of the street there is the tranquil and peaceful bay and on the other side large homes line up, each one outdoing the next. The awesome thing about these homes is that no two houses look just alike (a major pet peeve of mine). These images are posted in the exact order as the houses are lined up, from Howard Ave to the Davis Island bridge. I have shed some blood, sweat, and tears on Bayshore. I have run in five Gasparilla 15k races. My second year as a Tampanian if I remember correctly I went out too crazy the night before and didn't quite make it to the starting line. I missed last year due to being 5 months pregnant. When I first moved to Hyde Park with the husb (then boyfriend) we lived two blocks from Bayshore. I can't even tell you how awesome this was for a runner. It was also great for just getting out of the house for some quiet moments alone and have some quality 'me' time. I ran on Bayshore with my bestie the day of my wedding 2 1/2 years ago. I have many memories of this beautiful road. So I'm saying my good-bye to Bayshore with a little (actually a long) post of pictures so I can look back and remember just how my Saturday mornings and after work weekday runs looked. Disclaimer: I am by no means a "photographer". I take snapshot photos with a Canon Powershot SX230 HS. Nothing fancy here. Some of the shots were really difficult to capture, because of so much foliage in people's front yards. Apparently, they want a little privacy from people like me. At one point a cyclist did look at me a little strange. I just said, "I'm moving and want to remember Bayshore." He gave a knowingly nod like he completely understood. This post is dedicated to Carolina. 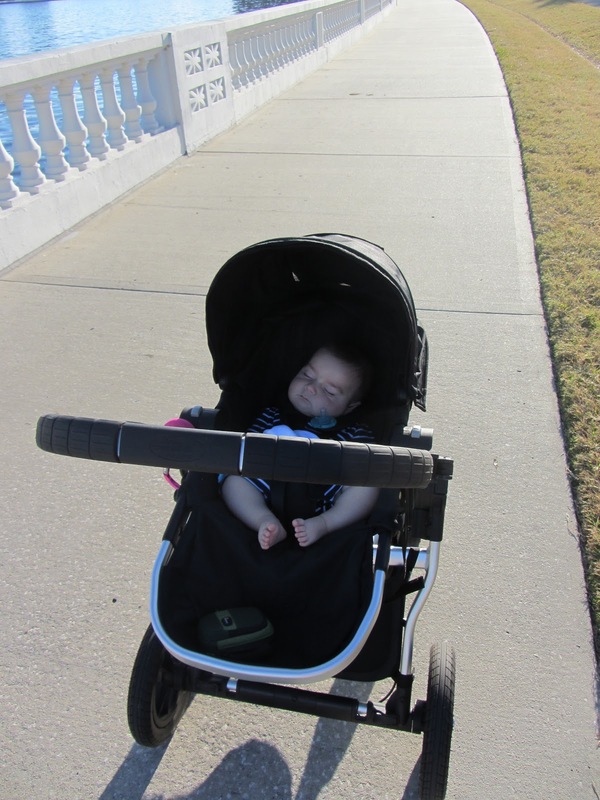 She is a loyal SSSS reader and once lived in Hyde Park and enjoyed Bayshore Blvd just as much as the next outdoor lover. 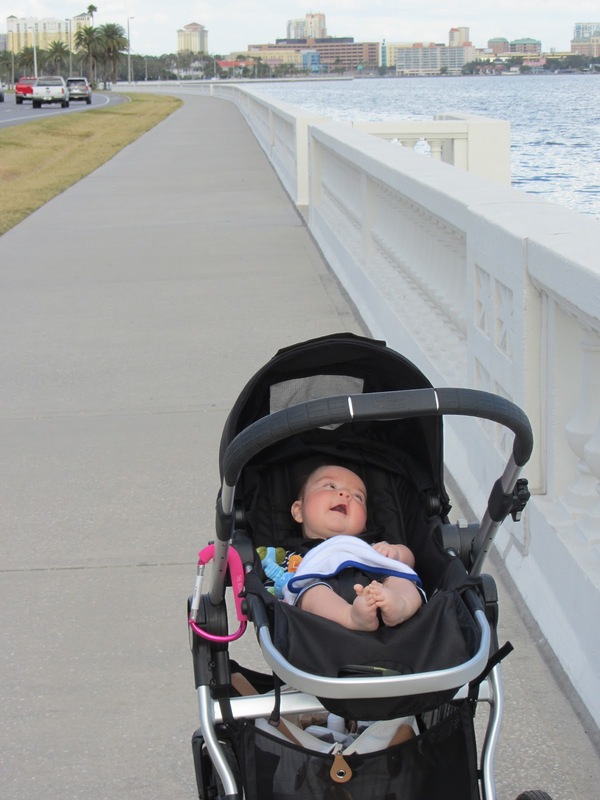 1) I got to jog/walk all the way to the Davis Island bridge from the Bay to Bay parking lot with this little one. A first for us. He usually doesn't have the stamina to ride that long in his stroller. 2) He finally fell asleep on a walk, which you'll see at the end of the post. The walk that lies ahead. The Mac Daddy mansion with cool horse sculptures out front. This picture doesn't show it all that well, but this house has the most beautiful rose bushes all around the inside of the fence. This 2-story pink house with the wrap-around porch is my favorite so I took pictures from all angles so maybe I can copy it someday. Not sure if I'll get to ever paint a house pink, but a girl can dream. I especially love how the garage is attached, but at the back of the house and also doubles as a rooftop patio. I'm not a fan when garages front and center of houses. View of Tampa General Hospital on Davis Island across the water. A look back from where we just walked. Brooke! You just made my day - I was getting so excited when I read your intro and then saw your dedication & not gonna lie got a little misty eyed. And your pictures are fabulous - thank you for sharing. They make me miss this beautiful boulevard so so much. 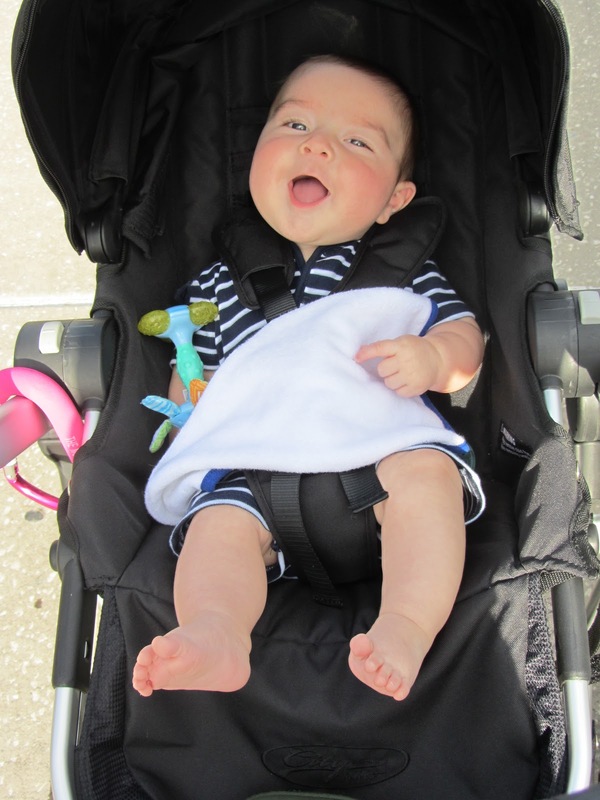 Glad the little man cooperated so you could walk this and share with us! good luck with your big move!! Tampa will definitely miss the Shemmys.